Here I am going to show you how to create your own crosses (Hybrids). Now my photography skills are not very good, especially for close-ups ! Therefore, I’m very grateful to Fatalii.net for kindly allowing me to use some of his photographs. 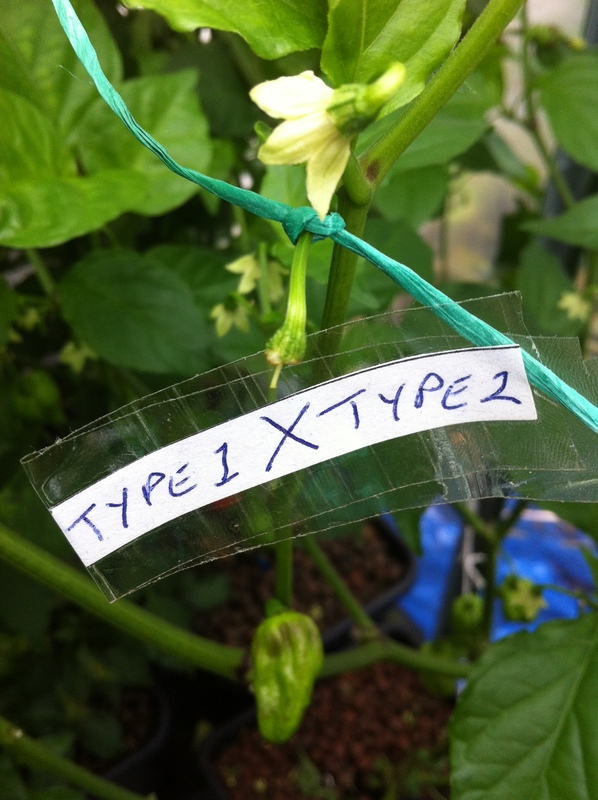 The first thing to do, is obviously choose the varieties you want to attempt to cross.Always choose strong healthy plants, and try to pick varieties where the pods are very different to each other. 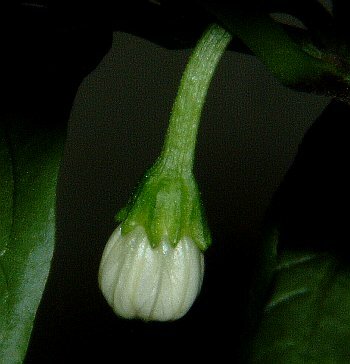 This will make it easier to see if the cross has been succesful.The flower you choose to take pollen from, will be the male, and the flower you pollinate…. 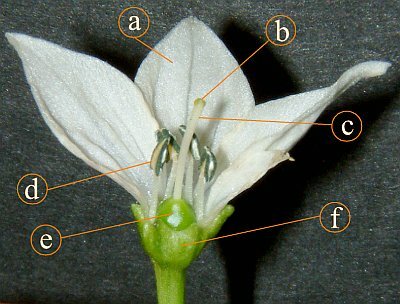 ( emasculate is the correct term ), will be the female.The female flower must be closed, to ensure it hasn’t already been pollinated. 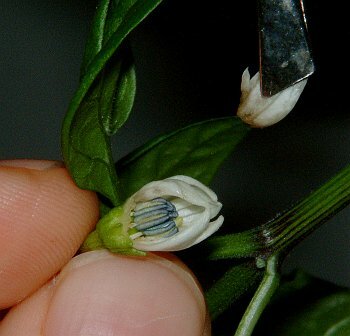 The next thing to carefully do, again using tweezers, is to remove all the stamens. 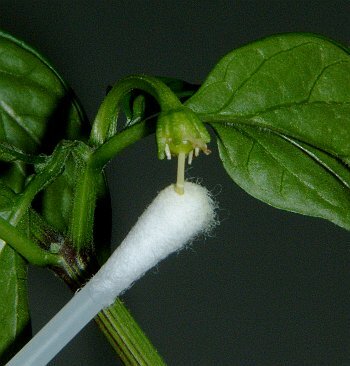 Now it’s time to collect some pollen from the male plant, one of the best way’s to do this, is using a cotton bud. 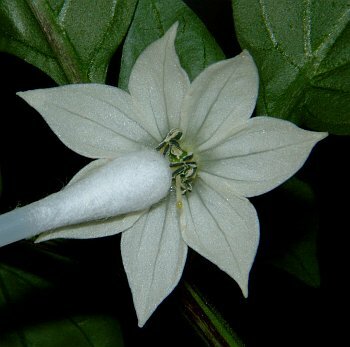 Then transfer the pollen carefully to the stigma of the pistil, on the female flower…..Warning !! 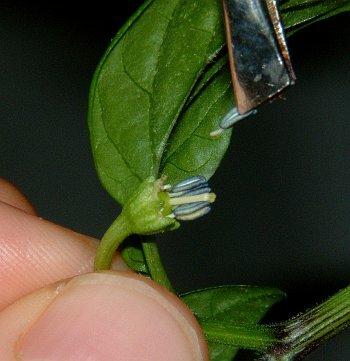 this must be done very gently, as the pistil is easy to break. It’s a good idea to do this on a number of flowers on the plant, in case the cross doesn’t take. The last thing to do, is to clearly label them, with type1 being the male, and Type 2 being the female. If the cross has failed, then the flower will drop off. However, if it goes on to produce a pod, then you know the cross has worked. 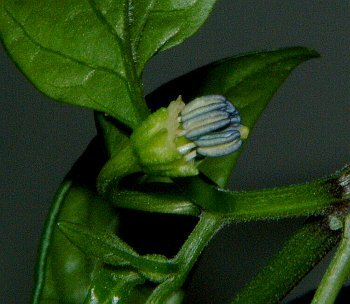 Save the seeds from any succesful pods, and when these are germinated and grown, you will be able to see the result of your cross !! So have a go yourself…… it is fun and exciting to see the resulting pods !! 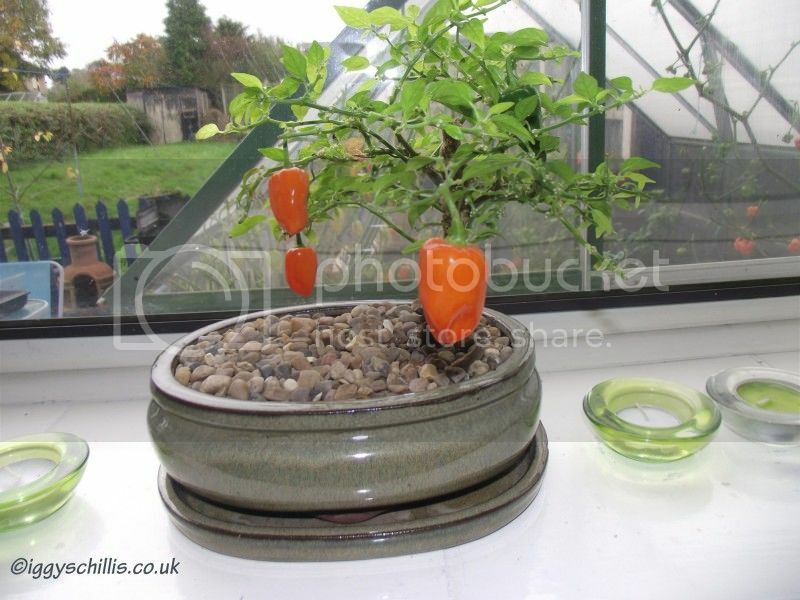 Once again, I would like to say a huge thanks to Fatalii.net for allowing me to use his photo’s. Pop over to his site, for more information, and have a look at his range of projects, and seeds. Next weekend I’ll be at The upton Cheyney Chilli & Cider Festival, along with the CGUK crew, and I’ll be doing a write up on the event shortly after……… stop and say hello if you see us.